CURE may share my name, gift amount, and this comment publicly on this fundraising page. CURE has permission to share my contact information and gift amount with the trip participant I am supporting. Please provide your size below. Please maximize the impact of my gift. Do not send me . Your donation will be designated to CURE hospitals and can only be used towards the care of and patients like herhim. Receive your set for a donation of only $50. We are grateful for your gift of any size. The "More than Joy" set will be sent only to US addresses and only for donations of $50 USD or greater. For calculating potential tax deductions, the fair market value of the product in this offer is $31. CURE operates with the highest levels of integrity and efficiency. Have questions? We're happy to answer them. 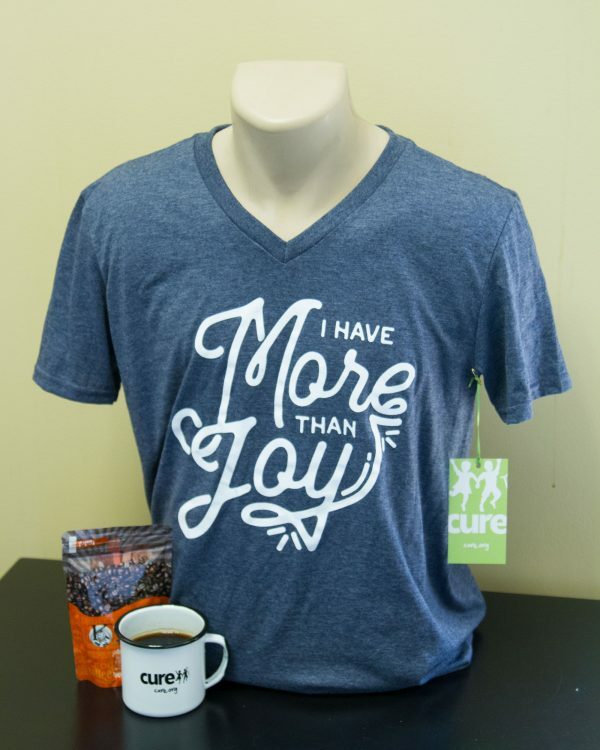 Please make donations payable to "CURE International" and designate "More than Joy" on the memo line of your check. CURE International is a 501(c)(3) not-for-profit organization. Site design and logo © 2010—2019 CURE International. All rights reserved. Powered by Wordpress.